In an in-depth interview with Game Kult legendary developer Shigeru Miyamoto has explained the origin of Link from the esteemed Legend of Zelda series. Miyamoto says that they wanted to create a character that was instantly recognisable, like Mario. They decided to give Link a long hat and long ears and went into the direction of an elf. Link’s name derived from the fact that the game is set in both the past and the future. 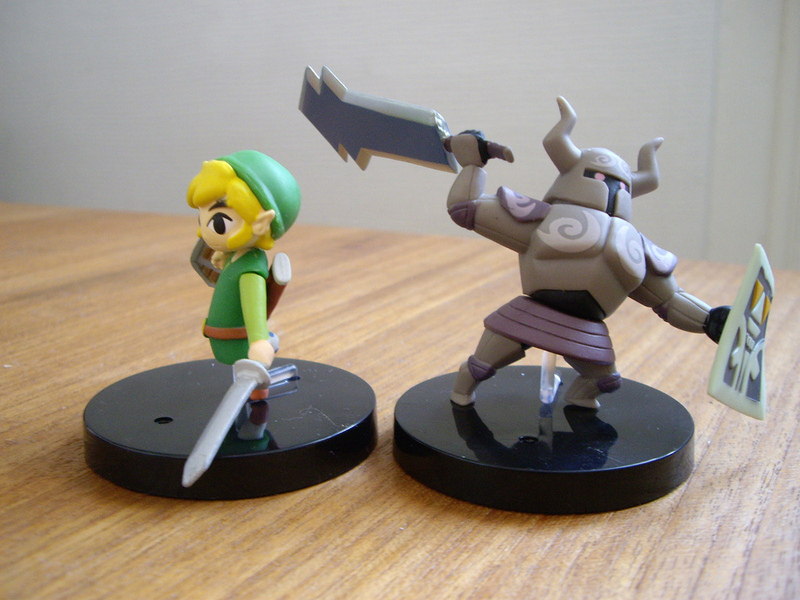 As the main character would travel between both and be the link between them, they called him Link. “Link sprite was designed by Takashi Tezuka. Like Mario, they wanted a character that would be recognisable from his sword and shield so they thought of a long hat and long ears and went into the direction of an elf. At the time, when you said long ears you thought of Peter Pan and as he’s a Disney fan, they drew inspiration from it. IDK. This doesn’t say it was “based off of”, but the relationships do make sense. Popeye’s not a Disney character so I don’t really see the trend, but sure. i want a sci fi zelda – now! That’s cool. I thought his name was Link because he was link between the players and the game world. Leave luck to heaven. I always thought of it the same way. Why do I get the feeling Disney would buy Nintendo some time in the future? “the fragments of the Triforce were supposed to be electronic chips”? I’m glad that didn’t happen. A Link to a larger than life franchise… like Mario and Donkey Kong. I never knew Miyamoto was a Disney fan, pretty cool to know. According to the quote, it is implying that Miyamoto is saying that Takashi Tezuka is the Disney fan. That is not to say Miyamoto isn’t a Disney fan, but we don’t know as of now. No, Miyamoto has said before even this quote that he is a huge Disney fan. Like I said: In this particular article, Tezuka is also the Disney fan and he made the design for Link. Again, whether Miyamoto is a Disney fan or not: Ok, good to know. Honestly when I first saw Link, I thought he was gay because he wore earrings. I know I’m being stereotypical. Sorry. I love the series! -__- He could wear earings and wear a pink dress… I dont stereotype people no matter what they appear. Unless Miyamoto himself says Link is gay I would never suspect. That’s like how JK Rowling said Dumbledore was gay and literally nobody suspected it before she said it. Hahaha. Creator’s word is law. Why not ask why Link never speaks full sentences? It’s been doing my head in for ages about why Link doesn’t speak! ^THIS why can’t people understand this? Are Takashi and Osamu related? It would be awesome if the next Zelda incorporated the triforce as “microchips,” and made a new time jump into a “steam-punk” era.